Paris has its Champs-Elysees, New York has its 5th Avenue; Las Vegas has the Strip. This is actually a nickname that has been given to Las Vegas' main Boulevard - the avenue that alongside which you can find all the hotels and casinos. However, not all the Strip benefits from the same popularity level, when it comes to tourists. The most visited part of the Strip is the segment located between the Stratosphere (just North of the Strip) and Mandalay Bay (the last hotel in the Southern side of the Strip). South or North of the Strip? At the northern end of the Strip, just after the Stratosphere, you will find the "oldest" part of Las Vegas. Don't expect the glamor and chic atmosphere that once featured the area's mega-hotels. Walking along the avenue, you will notice the old casinos, a lot of strip clubs and all Las Vegas' famous chapels. At the southern extremity of the strip, just after the Mandalay Bay you are heading towards the airport and the famous "Welcome to Fabulous Las Vegas" sign. This is certainly a must-see while in Sin City and you can be sure you will not be the only ones. Actually, the best way to localize the sign is to look for a crowd of tourists snapping pictures in the most hilarious positions. Is the Strip doable on feet? Sure, you can always walk along the Strip and admire its historic casino-hotels, starting at Luxor (the Southern end) and heading towards Wynn (the Northern end). You can even see the Wynn when you are in front of the Luxor, so many of you might think such a walk is highly doable. However, your feet would not agree with you. First of all, take into consideration that the Strip is 6 km long and then you will have to do all the way back, which means about 12 km. Then, don't forget that you will want to get in most of the hotel-casinos to take a look. If this is your first time in Vegas, you certainly want to visit reputed landmarks like the Venetian or the Mirage leisurely. You will have to count at least 30 minutes for each casino, but the mega-hotels (the Venetian or Wynn for example) might take you even 3-4 hours. Moreover, although the Strip is flat, you will have to take the aerial bridges on each crossroads. It might seem piece of cake at first, but going up and down all the time will make even the ones in good shape loose breath after a while. 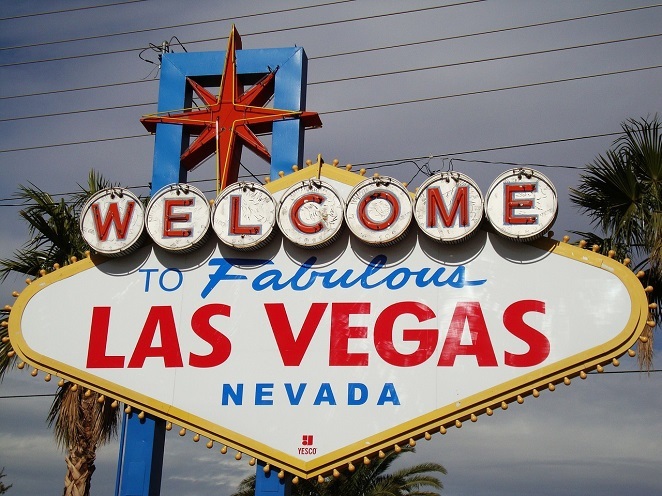 First of all, I would suggest visiting Las Vegas in 3 days and organizing your visits by areas and hotels. For the very first day, the area of ​​Luxor, Mandalay Bay, Excalibur and MGM should be more than enough to get an overview of what Las Vegas has to offer. 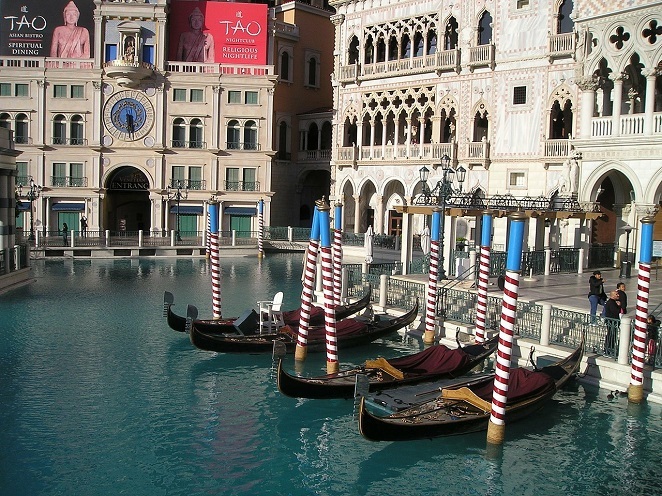 Then spend some time in the middle of the Strip, admiring the Bellagio Fountains, visiting the Mirage, Paris, Treasure Island, Venetian, and Palazzo. You can end your Las Vegas Strip experience with the Wynn and Freemont Street. The ideal would be to look for accommodation somewhere in the middle area of the Strip. This way, you can start walking towards the North end one day and towards the South one the other day. If this is not possible, you may consider combining your car rides with your walks. While car can certainly make your day easier, it is advisable to park in one place and then explore the surrounding area. Even if you are in a hurry, avoid speeding on the Strip. Las Vegas' main avenue is dotted with policemen and you risk getting a substantial fine. One more tip: most of the hotels have free parkings. Oh, and try to remember where you left it! This part can be really challenging and you don't want the end of your day, when you are tired and maybe even hungry, to turn into a "searching for the car" nightmare. A transportation aspect many Las Vegas visitors ignore are the free tram lines: one connecting Excalibur, Luxor and Mandalay Bay and another running between the Mirage and Treasure Island.